Applications: FiniMaster Pro is a highly versatile metal finishing machine. It can be fitted with an inflatable wheel which takes a wide range of abrasive sleeves from coarse ceramic for dressing hard surfaces and stripping coatings though fine grades right up to mirror polishing. The diverse sleeve range includes ceramic, zirconium, aluminium oxide, surface conditioning, Trizact and polishing fleece materials. Additionally, the machine accepts 125mm flap wheels in both combination and non-woven abrasive form for graining, brush finishing and satin finishing surfaces. It can also be used to drive open-grip belts for tube finishing and polishing. This machine can thus work the surfaces of flat sheet, flat section, bar. and tube. Great low speed torque characteristics to avoid torque ripple at slow speeds. Uses larger 125mm wheels for smoother action and long wheel life. Robust construction with double bearing mounting on drive shaft. Fully movable top handle, enabling controlled pressure where needed. Supplied with metal tool box. Choice of 110v or 230v. Sold in sets to get you going quickly. For options, see tab above. 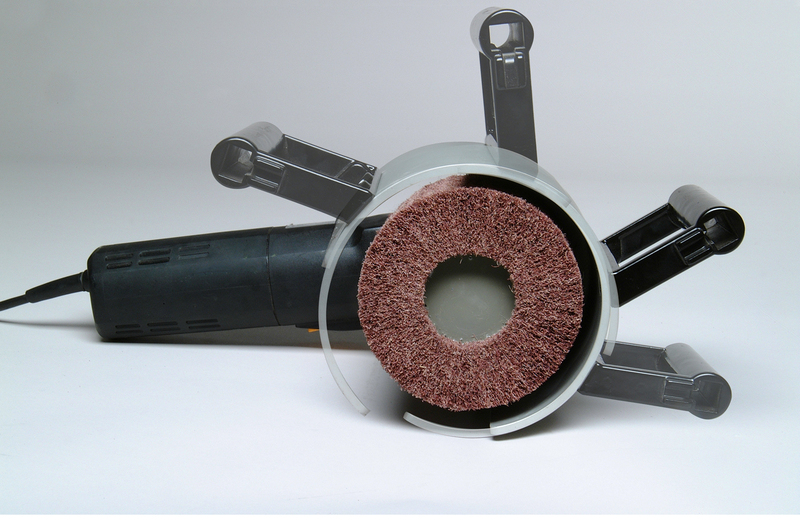 Also Available: A full range of accessories and consumables is stocked including: abrasive sleeves, flap wheels, polishing wheels. 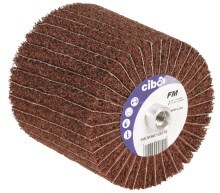 1 x Non-Woven Abrasive Flap Wheel (FMTM), Grade 80. 1 x Belt Drive Wheel. 4 x Surface Conditioning Belts (Coarse Medium, V Fine). 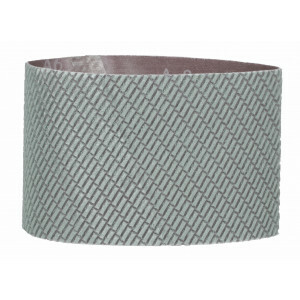 3 x Ceramic Abrasive Belts (Grades 40, 80 & 120). 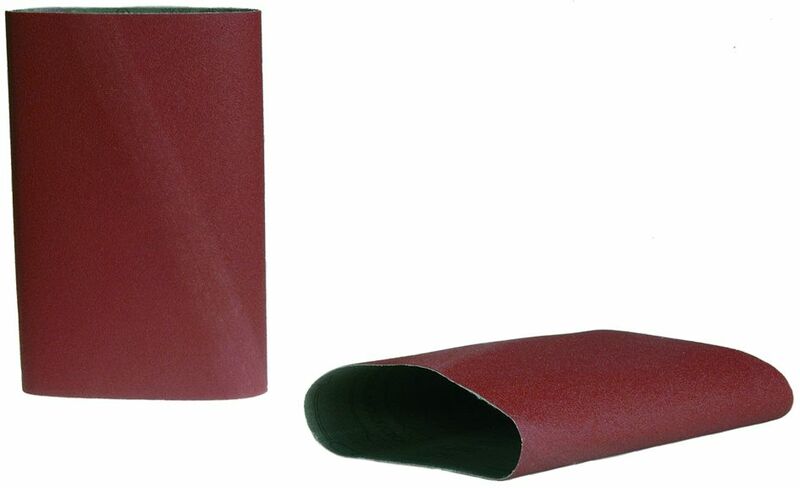 2 x Trizact 337DC Abrasive Belts (Grade A300). 1 x Combination Wheel (FMCM), Grade 80. 1 x Can Inoxiclean Spray, Stainless Steel Cleaner. 1 x Roll of Inoxitape (For graining mitred corners). 1 x FORU graining block. The combination wheels include the new grade 60 in ceramic abrasive which will clean mill scale as well as leave professional brushed finishes. 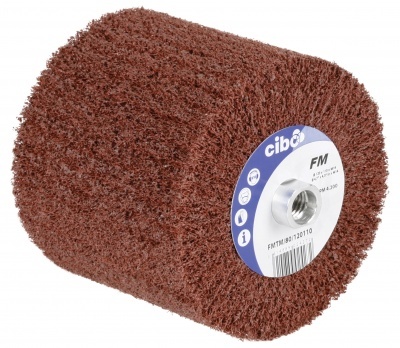 These non-woven abrasive wheels suit the 125mm machines with M14 fixing and give professional brushed and satin finishes.